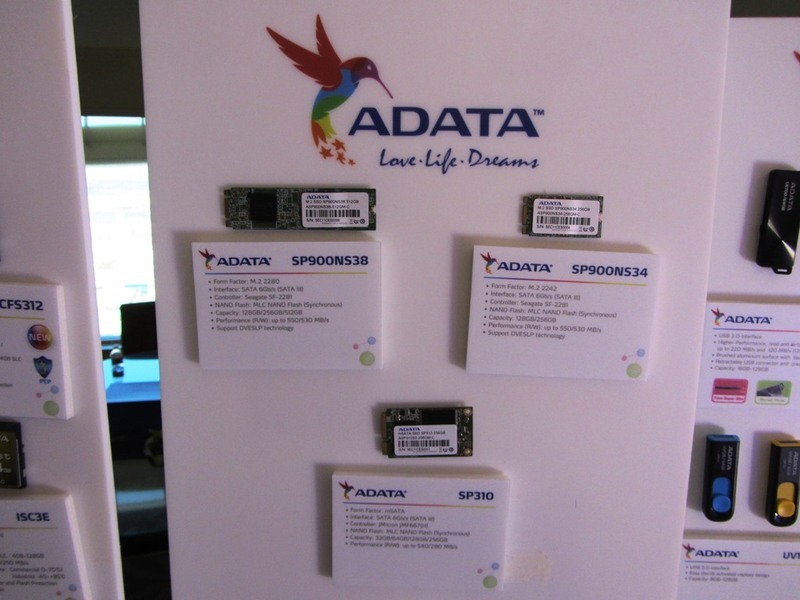 During our visit with the folks from ADATA, we were introduced to several new storage and memory products promising even faster speeds than before. ADATA appears to be targeting the gamer, overclocker, and PC enthusiast. They were eager to show us what they’ve been up to. ADATA’s XPG Z1 DDR4 memory will begin to see speed increases as high as 3465 MHz in the coming months, which they claim will be the world’s fastest. 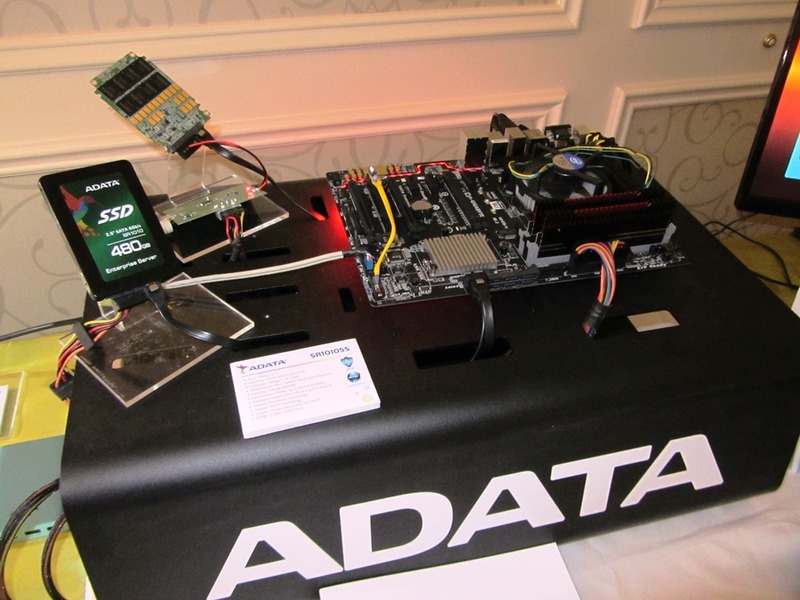 Large capacity kits will see speeds up to 3200 MHz as well. 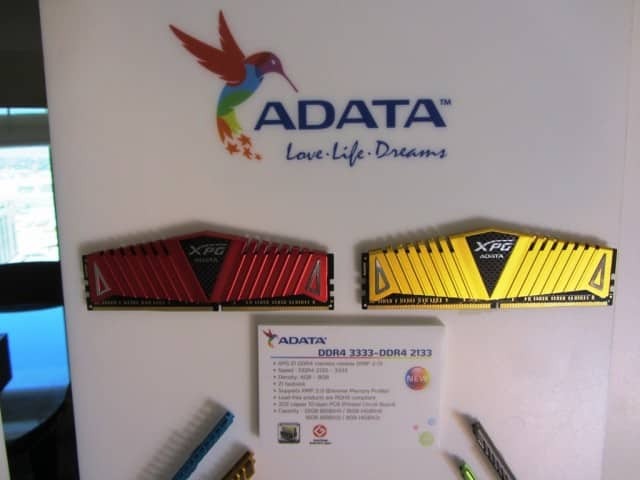 ADATA claims it’s the only memory manufacturer able to provide a steady stream of high capacity/high speed DDR4 modules to meet the ever increasing demand. Also on display was ADATA’s full line of SSD storage solutions. One item of particular note here is the industrial M.2 and 2.5″ SSDs that offer power loss protection (PLP), which helps to protect against data loss due to power failure or improper shutdowns. 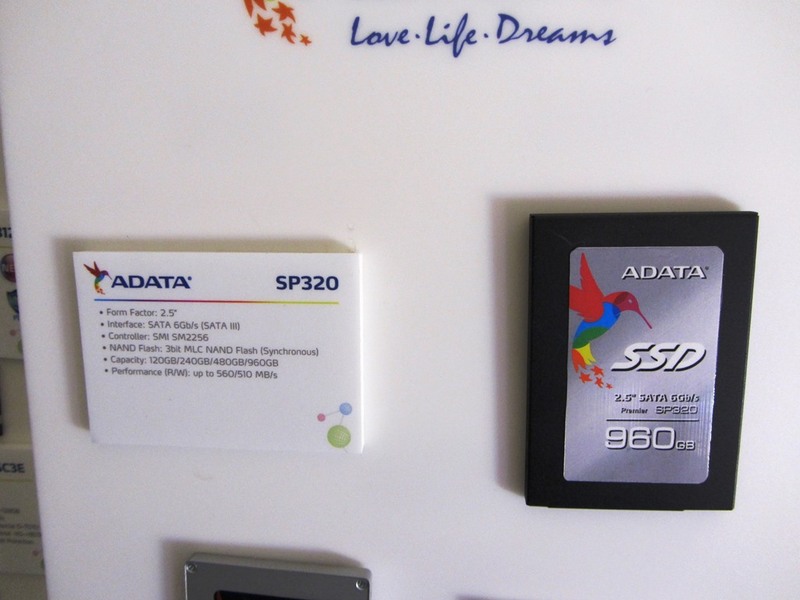 The big hitter on the consumer SSD side is ADATA’s SP320 series. Using the SMI SM2256 controller, these SSDs are capable of read/write performance up to 560/510 MB/s. The SP320 SSDs will be available in capacities ranging from 120 GB to 960 GB. 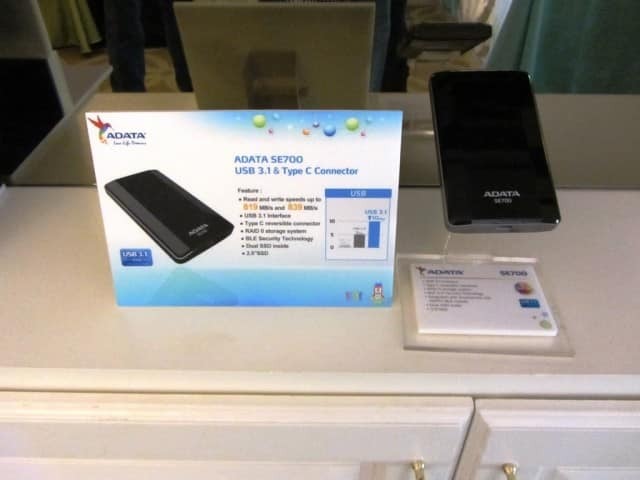 External storage devices featuring the new USB 3.1 standard were also on display. USB 3.1 has the potential for 10 GB/s transfer rates, which is a significant jump from today’s USB 3.0 interface. One item we looked at was ADATA’s SE700, which packs two SSDs in a Raid 0 configuration and is capable of read/write speeds of 819/839 MB/s. The SE700 uses a USB 3.1 interface and Type C connectors. 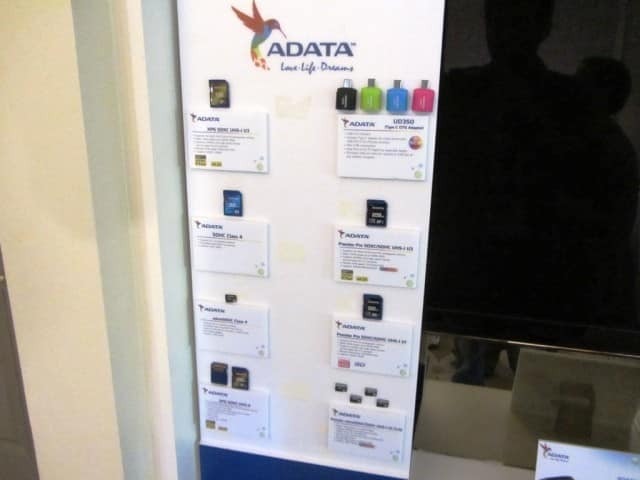 ADATA has long been known for providing a variety of USB thumb drives and SD cards, and they had a full display of some of their more popular items. A host of different capacity sizes are available in a wide range of interfaces.